The knee is a hinge joint that is made up of bones, muscles, tendons, ligaments and liquids. Tendons and muscles allow the knee to move and be able to bend so we can move. When one of these structures becomes inflamed, breaks or is otherwise hurt, however, knee problems and pain arise. Knees problems can occur at any age. These problems may not be directly related to age or to bone or muscle weakness. This discomfort can limit you when completing daily activities such as exercise, weight lifting and even walking. The important thing is to seek medical help as soon as the discomfort begins so that your knee can be thoroughly examined and treated on time. This will prevent major complications that can lead to surgery. In addition to seeing your doctor, you can take advantage of the benefits of some foods that reduce knee pain naturally. Junk food is one of the greatest enemies of knee health. These products contain an excess of fats, cholesterol and salt, which produce more inflammation in the joints, including the knees. If you don’t have time to cook or to go home to eat, try to take some healthy options like smoothies or salads with you. It may be difficult for you during the first few days. However, you’ll soon adapt as time goes by and as you start to see the benefits. Another good option is to go to a food establishment where they prepare balanced food. It’s possible to find restaurants with decent prices and good food in almost any place. Eggs contain the nutrients needed to protect joints and reduce knee pain. You can add them to your diet in multiple ways, so they’re perfect for experimenting with in the kitchen. You’ll begin to notice fish’s anti-inflammatory benefits by eating it three times a week. In fact, your knee pain will considerably diminish within a few weeks, especially when your joints are inflamed. There’s a great variety of fish to eat so you won’t find it difficult to find some that are affordable and delicious. We suggest consuming whey once a day to decrease knee pain. Its benefits come from the nutrients that it gives us, especially calcium. These nutrients not only lessen discomfort, but also help maintain healthy bones and decrease other discomfort. This is a spice that’s rich in antioxidants and anti-inflammatory properties. It’s widely known in the East and now in the West. Among the many nutrients contained in this fruit are potassium and magnesium. These minerals help to improve bone health and gradually make knee pain disappear. Try a banana a day to help knee pain go away! 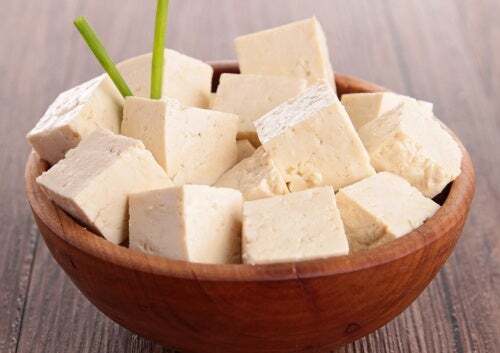 Tofu is rich in calcium, so it helps improve the health of your bones and decrease knee pain and pain in other joints. You can consume tofu as often as you need. However, you shouldn’t consume raw tofu, as it causes indigestion problems. Beans contain a large amount of protein that helps to relieve knee pain. It’s advisable to consume them several times a week as a protein source to regenerate ligaments and joint muscles. If you’re diabetic, however, you should monitor the amount of beans you consume because eating more than one cup a day can raise your glucose levels. This oil helps to decrease knee pain. We advise using it daily because it’s rich in healthy fats that the body needs to function properly. To take advantage of all the benefits of olive oil, we suggest that you to consume it raw or that you don’t overheat it, as this can be harmful. 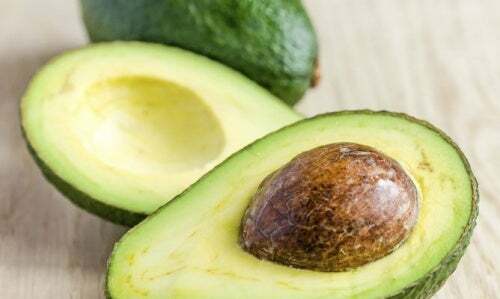 Most of us use the avocado pulp and remove the seed. From now on, don’t throw it away. Use the seed to reduce joint pain instead! Grate the avocado seed or blend it until you get a powder. Heat the honey and mix it with the powder to form a paste. Make sure the mixture is hot, but that it doesn’t burn you. Then, rub it on your knees to relieve the pain. Try these foods and in a few days, you’ll notice how you start to experience less discomfort. It’s also important that you have a medical examination as soon as possible. Even if the discomfort disappears, you should always go to a specialist to evaluate the reasons why you experienced it in the first place. The post 10 Tricks to Reduce Knee Pain with the Food You Eat appeared first on Step To Health.